The orders refer to the cessation of hostilities with Japan and VJ day. Celebrations include a sports meeting with monetary prizes and a concert. 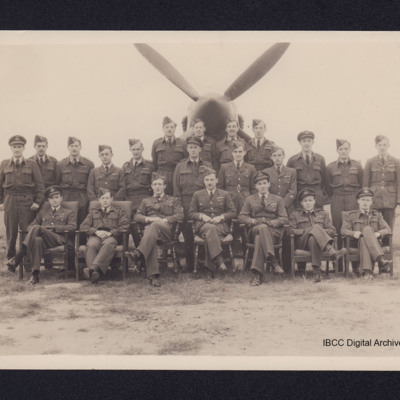 Seven pilots sitting in armchairs in front with fifteen standing behind, wearing a variety of uniform, all in front of a Spitfire. On the reverse '91 Squadron? '.